IBM recently announced their new model of the IBM mainframe z14: The IBM ZR1 extends the performance and capacity enhancements of the z14 into a new server footprint, focusing on a lower entry point into the mainframe environment. With this new announcement, and the announcement of the IBM z14 earlier, the long tradition of providing improved capacity from generation to generation continues. IBM has enhanced the capacity of its processors, as well as the cache that supports these processors, along with other components such as disk I/O and communication capabilities. All of these improvements affect how current and future workloads will run on the new mainframes. The z/VM operating system, along with the IBM z14’s and earlier models, have provided various levels of virtualization at the logical partition level, as well as workloads running in each individual LPAR. And, just like any virtualized environment on any platform, these workloads require management to ensure they can provide the expected service for which they were designed. This means that they are receiving the resources they require, when they need them, and are not constraining other virtual machines based on their priority within the system. As your current workloads grow over time and new workloads are brought into the environment, you will eventually need to add overall capacity to allow these workloads to operate as expected. Capacity planning is crucial in a virtualized environment… both performance monitoring on a day to day basis and monitoring capacity growth over time. There are many system and planning tools to help you accomplish this within an IBM z/VM environment. On a system-wide level, where you are considering how different LPARs work in relationship to each other, you can utilize weights and capping to regulate how much capacity a specific LPAR consumes when resources are constrained. IBM’s Performance Toolkit, IBM’s Omegamon products or Velocity Software’s performance products are good options to provide this capability. From a long-term capacity planning perspective, you can utilize various tools that collect historical performance data to provide a means to see how your workloads have grown over time, as well as how the combined workloads have changed over time. The tools mentioned above can provide this capability. You can also offload performance data and feed it into some other solution, if you have that capability, or even use something as simple as a spreadsheet, for example. But, the important point is that this data must be reviewed on a regular basis to understand how your environment is growing, allowing you sufficient time to add additional capacity, if needed, to keep your workloads performing as expected. Another useful option is to have an IBM CP3000 study performed. This study uses the performance data provided by the z/VM system to understand how your workloads have changed over time. Mainline can perform these studies and provide a very useful report on the current capacity being used by your system. Depending on how fast your workloads are growing or how fast you are adding additional workloads, this study could be done once a year, or more often, to provide a good idea of capacity growth on your system. The CP3000 study is also used in determining the path you would take for your next system upgrade. It can help determine how many processors you may need, as well as how much memory would be required, based on the models you’re considering. When data center managers and capacity planners are thinking about new workloads or consolidating workloads from other platforms, IBM’s Techline Sizing group can be utilized. These studies can help you estimate how much capacity a new workload would require on a given model of an IBM z System. These studies are done by utilizing performance data from the existing workload, or an estimate can be given based on answering questions on the type of new workload being considered. These studies should be done for each new workload you plan to move or implement in your z/VM environment. This will give you a good opportunity to determine what capacity you will need for the new workload, as well as the impact it will have on a particular logical partition, or the overall impact it will have on available capacity. IBM z System is very dynamic in its ability to add capacity, so resources can be added when needed, or you can plan well in advance for a new processor model. With all the tools and studies available, capacity planning can be done systematically, and future capacity upgrades can be planned well in advance. But, just like anything else, even though you have the tools, that doesn’t mean you don’t have to monitor the results. Reviewing capacity for this environment should be a normal part of the data center administration process, in order for you to take advantage of all the capabilities the IBM z System offers. As a Platinum IBM business partner, Mainline has extensive experience with IBM z Systems capacity planning and workload consolidation, and we conduct these studies on a regular basis. Please contact your Mainline Account Executive directly, to set up a more in-depth discussion about how to plan for capacity on IBM z Systems, or click here to contact us with any questions. 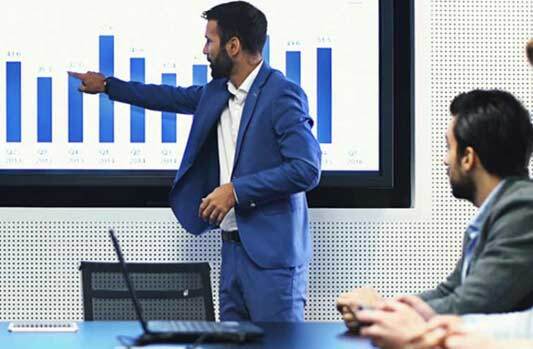 Check out our CIO Advisory Services which gives business and technology leaders the tools needed to set strategy, improve operations and reduce cost.